Oro - Stunning Elegant gold five-row stretch bracelet -- SPECIAL!! HOME / BRIDAL JEWELRY / Wedding Bracelets / Oro - Stunning Elegant gold five-row stretch bracelet -- SPECIAL!! 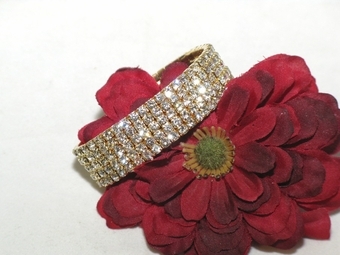 Description: Stunning Elegant gold five-row stretch bracelet. traditional yet beautiful never out of style.